As one of the region’s largest and most comprehensive full-service motor and drive solutions providers, SEW-Eurodrive will take centre-stage at July’s Mining and Engineering Western Australia Exhibition (M&E WA) in Perth, WA, showcasing its extensive range of heavy-duty drive technologies. The company will exhibit elements from its innovative range of gear-units, geared motors, and frequency inverters – all specially designed for heavy-duty applications with high-transmitted loads, making them ideal for the needs of mining, mineral processing and quarrying processes. 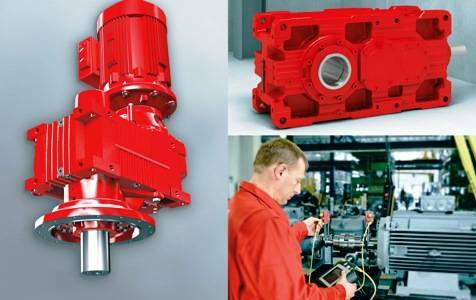 A particular point of interest on the SEW-Eurodrive stand at M&E WA will be the company’s Australian-assembled X-Series gear-units. “This series boasts the finest torque-graduation on the market, allowing users to closely match an X-Series gear-unit to their application. This provides unrivalled gear-unit choice and flexibility for the mining industry,” said Hughes. “The X-Series is ideally suited to applications ranging from conveyor systems, to ball mills and agitators.” The entire X-Series range is offered in a choice of 15 sizes with torque ratings ranging from 58 to 475 kNm. To learn more about SEW-Eurodrive’s comprehensive range of heavy duty motor and drive solutions, visit SEW-Eurodrive at Mining and Engineering Western Australia: Stand 2305, Perth Convention & Exhibition Centre, 5-7 July 2011.